‘In times of uncertainty…there is a special breed…a common person with an uncommon desire to succeed…standing alongside others to serve our country, our people, and protect our way of life.’ –Paraphrases of the US Navy SEAL ethos. Big expectations. Honor, courage, commitment. To become a SEAL, one would do well to become intimately familiar with the SEAL ethos and want to live by it. If successful in the SEAL pipeline, bestowed the Trident, and performing the huge duties and responsibilities associated with the job, one must personify the SEAL ethos. What’s your ethos? Does it align with who you are inside and out? The easiest part of my job was administering the Physical Screening Test (PST), an hour + physical challenge comprised of a timed swim, max pushups, sit ups and pull ups, and a timed run. The PST, while demanding, was and is not hard for someone who’s fit and trains with purpose and focus. The hardest part of my job was assessing what candidates had inside, from the top of their brain housing group to the end of their pinky toe. Character. Ethos. The physical, mental and moral screening just to qualify for Navy service was a good start, along with Armed Services battery tests and the Computerized-Special Operations Resilience Test (C-SORT). But ultimately, under my ‘watch,’ it was who that candidate appeared to be to me and the teammates (s)he trained with while still a civilian, in pursuit of a contract – or not – in order to ship out with the guarantee to pursue the path of a Navy Warrior. Generally, I worked with candidates for 4-12 months, seeing them 3-4 times a month. In addition to conducting the requisite monthly PST, I created trainings with scenarios that tested everyone’s character individually and in group/team settings. The fruits of my – and their – labor proved themselves with higher than average success results in the Navy Warrior pipelines. 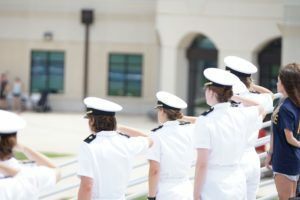 Equally, if not more important: nearly every single one of my candidates left ‘CIVLANT’ and entered the Navy to pursue the Warrior path with a better sense of who (s)he was and what (s)he needed to be every day to succeed and earn the privilege of serving and performing a high risk/high reward job. Individual and team character development played a crucial role in their personal and professional success. I hammered home the importance of insatiable individual and team perseverance needed to succeed…not just in the Warrior pipelines, but in life. When select individuals earned their contracts, they had to recite a pledge before their peers. They helped craft that pledge, extracting most of its content from the SEAL Ethos. NOT ONE of them thought it was corny, goofy or a waste of time. They considered it an honor to recite it, perfectly, before their peers. They all carried a pocket-sized version of this ethos, referring to it often as they committed it to memory, before and after their recitation before peers. They also made a commitment – most importantly to themselves – to do their best to live up to that pledge as they moved forward pursuing their goal to become a Warrior. To this day, many of them recount to me the positive impact that pledge had on their personal and professional lives. So what, who cares…right? WRONG!! 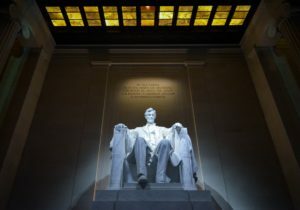 America’s Founding Fathers, together with several other key players of their time, made a pledge to themselves and each other that structured the democratic government of the United States and left a legacy that has shaped the world. Character does matter, now more than ever. Every day, we’re confronted with acts and examples of individual and group actions at all levels in the public and private sector that are confrontative, demeaning, polarizing…and meaningless if we’re to survive as a great nation upholding democracy and defending freedom with a government of the people, by the people, and for the people.